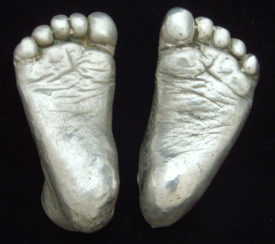 At a party or appointment we simply take your little one’s hand or foot mould in dental alginate, before returning to our studio where each mould is delicately cast to capture and define all those magical lines and wrinkles! 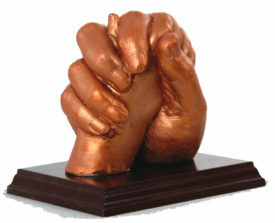 Our castings are then finished and mounted to your requirements. This process can take 4-5 weeks so please allow plenty of time if you are buying a special gift for someone. View cart “Baby Casting Kit – Life Casting Kit for Little Hands and Feet” has been added to your cart.